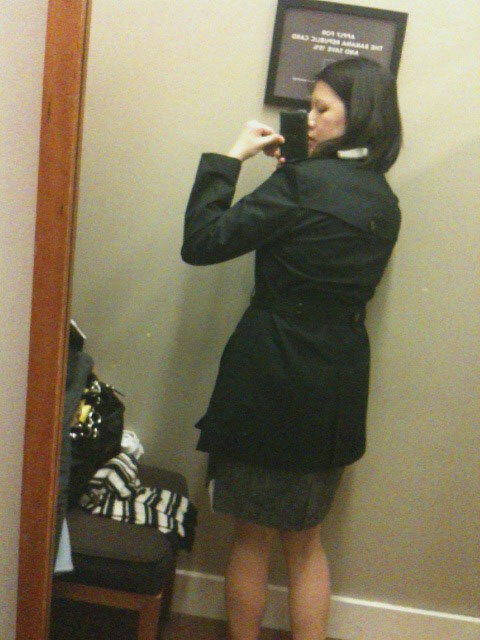 Banana Republic Factory was having 40% off (aren’t they always saying that?). I stopped by with my husband. He wanted to see if there was anything he liked. While he was perusing, I did a mad dash with an armful of clothing. It looked like I hit the jackpot. 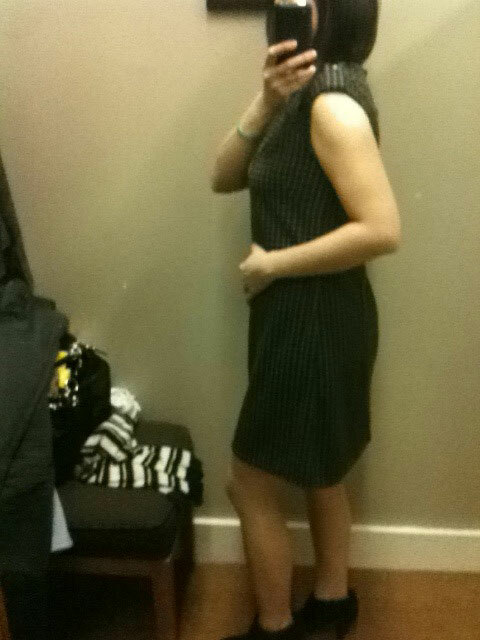 While in the petite section, I noticed this straight cut sheath dress with a stretchy fabric. Unfortunately though my mind liked, my body did not like. It was very dull with no shape front or back. It resembled my maternity wear for some reason. Wow! 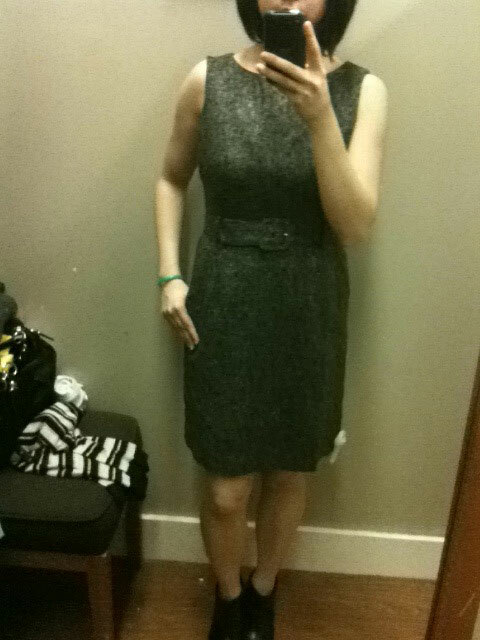 I love this sheath dress in tweed. Classic shape with a fitted belt at my waist to define it. 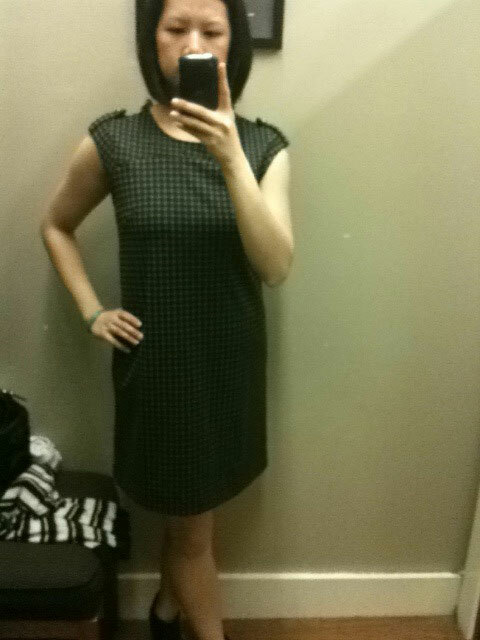 This was a size 6 petite. 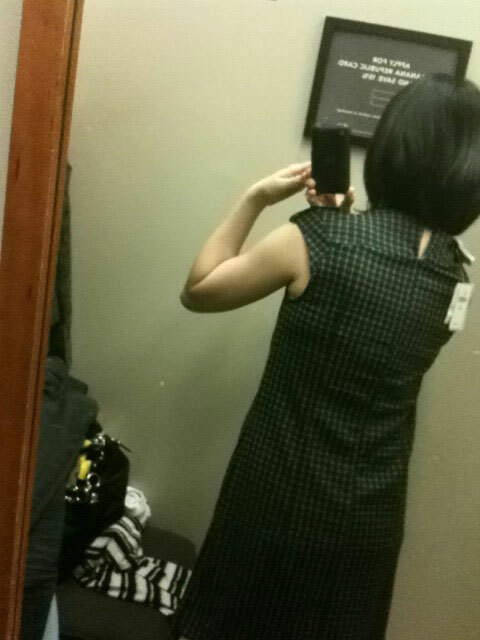 Love the length and the arm holes fit with no gaps. The backside looks fabulous too. I can wear to work, lunch meeting, PTA meetings, kids’ recitals, etc. I think this would be a great addition to my wardrobe. My my my. I’m on a roll. This is a great fitting trench. The length of the sleeves are great. It has deep pockets which I like. And the belt sits right on my waist. This is another one I would like to have on my wish list. Back view looks really good. 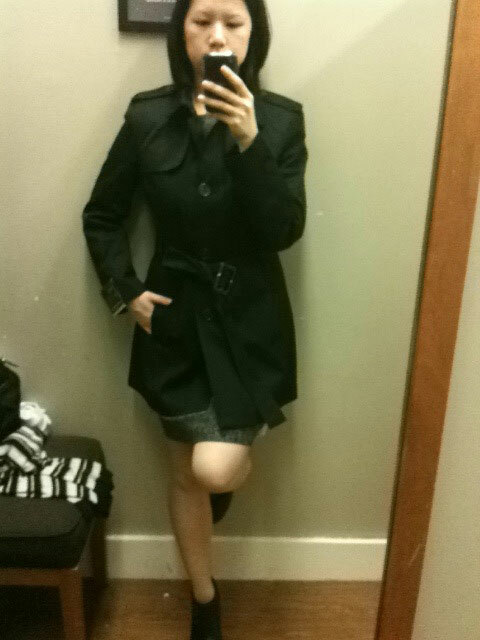 Overall I’m happy with the tweed dress and the black trench. 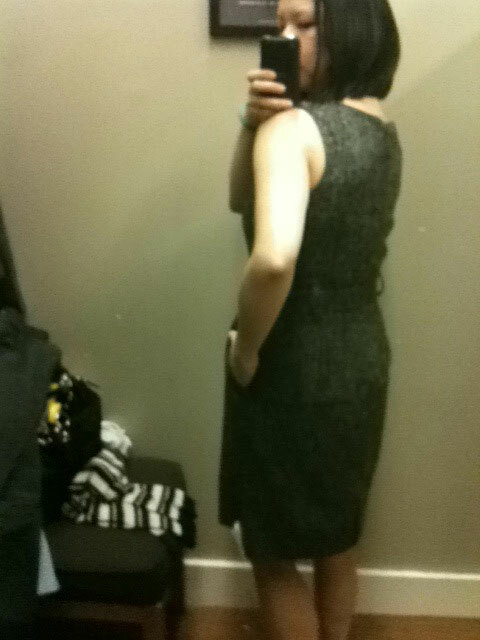 Stay tune for Part 2 of the Banana Republic outfits. OK don’t leave me hanging…did you get the sheath dress AND the trench???? I hope you did because BR Factory items NEVER fit me like this!